Have you ever wondered what separates a great pair of ski pants from your everyday average pair? Maybe you’re a twin-tip skier who hits the park, you can only be found in the backcountry, or your favorite place to ski is on the groomers. Whatever your style, it’s important to find the best ski pants to suit your needs. But when there are tons of pants to choose from (and some are very expensive), how do you know which pair to go with? Here at The Adventure Junkies, we’re obsessed with finding the perfect snow gear for every skier. We’ll show you how to shop for ski pants that suit your riding style and the weather you’re likely to encounter. We’ll also give you our favorite picks of the year. BEST FOR: Skiers needing ski pants that can handle all types of conditions. Almost all ski pants come with some level of waterproofing or water resistance. 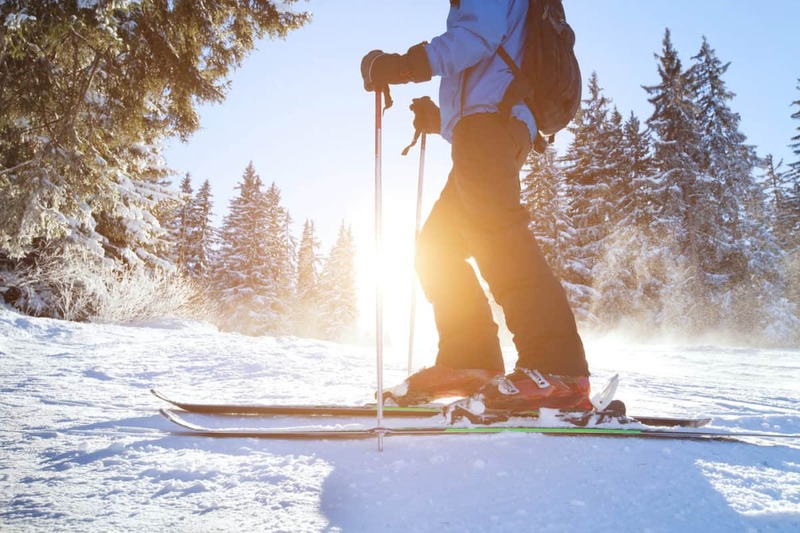 If you’re skiing in an area that’s known to have very wet snow or slush, solid waterproofing is extremely important. Wet clothing leeches heat from the body and quickly gets uncomfortable to ski in, cutting your ski session short. 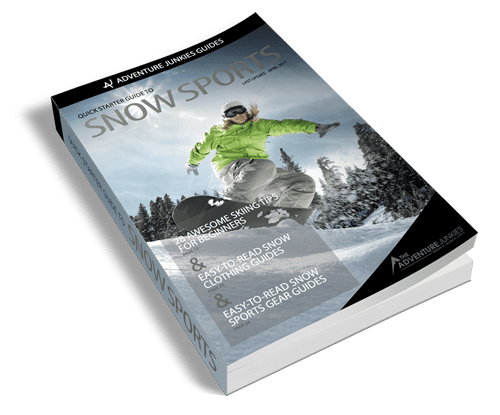 Waterproof ski pants will generally be 2 or 3-layers, or a specific waterproof fabric like Gore-Tex. As a general rule, stiffer outer materials tend to be more waterproof than the flexible soft shell outer fabrics. Aside from the base fabric being waterproof, you’ll want taped seams and waterproof zip or button pockets because snow often gathers around these areas. When the snow melts from the heat of your body, you won’t want the water dipping into the inner lining or into a pocket with your electronics inside. In an article that explains waterproofing and waterproof ratings by the Sierra Trading Post, they advise people not to use harsh chemicals or fabric softener when washing waterproof materials like ski pants, as this tends to break down the water repellent. Some skiers want tons of features like jacket-to-pants clasps, O-rings, vents, and straps while other skiers want to cut down on the bulk and have their pants as simple and streamlined as possible. Though it’s a personal preference on how technical you want to get, a few key features can really extend the lifetime of your pants and help you stay warm. Gaiters and powder cuffs at the ankle ensure that the snow stays out even when you’re trampling through deep powder. This is a feature that’s so essential, it’s almost not worth buying a pair of pants unless it’s included. The gaiter and ankle hem should fit snugly over your ski boot so that it looks stylish and protects your legs from the elements. Other key features are sealed or taped seams for durability, scuff guards, a mesh vent system to help you warm up and cool down as needed, and an adjustable waist strap to easily fit around your base layers. 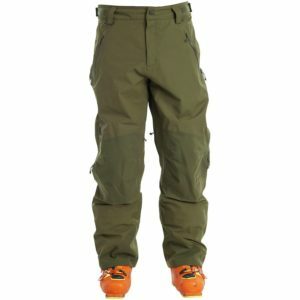 More specialized skiers that often ride in powder or backcountry conditions should look for pants with flexible knees and loops that can connect your ski pants to your jacket. There are also brands that come with radio pockets and a reflector to help pick up radio signals in case of an avalanche. Many snow outerwear companies are partnering with avalanche safety technology companies to increase safety on the mountain. You can read more about how the reflector and detector system works in this article by Recco. Should you get insulated or just the shell when choosing the best ski pants? 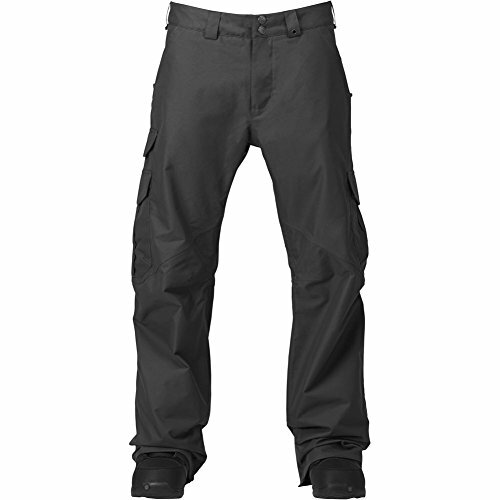 Insulated pants come with an outer waterproof shell and are lined with material inside for added warmth. These tend to be more comfortable and can often be worn on their own, without any extra layering. 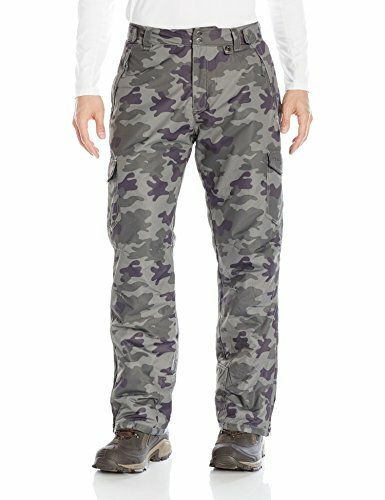 If they have mesh vent pockets, insulated pants are a great choice for year-round skiing in all conditions – though they might be a bit too warm for some. 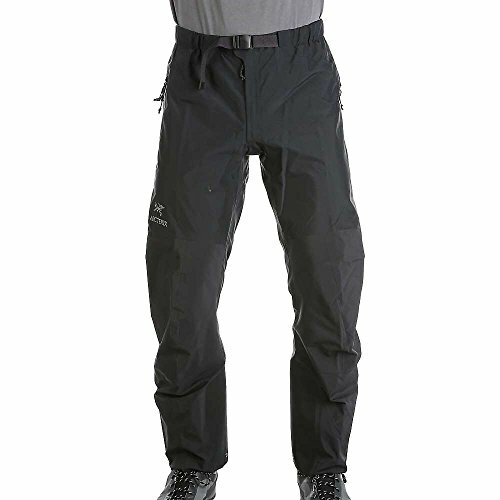 Unlined ski pants, or shell style pants, are best for skiers riding in variable conditions. These pants work best with an added layer underneath that’s tailored to the temperature of the mountain that day. Backcountry skiers tend to prefer unlined pants because they’re typically less bulky, cooler, and more flexible. 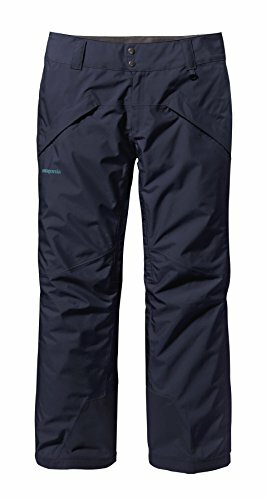 If you’re a beginner skier or ski in all types of conditions, opt for an insulated pair of ski pants with mesh vent pockets. 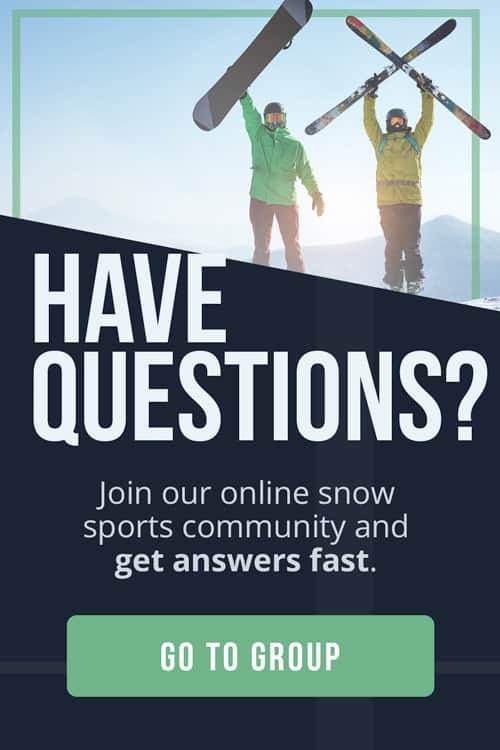 After checking out our guides on how to choose downhill skis, gloves, a helmet, and ski poles, you’ll nearly be good to go. How tight you want your ski pants to fit depends on your personal style. Many skiers like baggy pants while others want them to be nearly leggings. 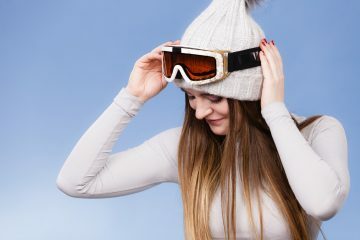 The important thing is that the pants fit snugly around the waist and don’t slide down when you sit — else you risk having a freezing lower back on the chair lift or might get a snow-in-the-crack surprise on the slopes. The hem of your pants and gaiter should also fit over your ski boot all the way down to your ankle. If the pants are bunching up at the top of the boot, then the opening is too narrow. 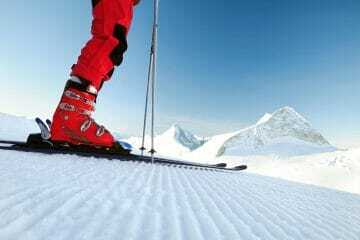 Many ski pants have zippers at the bottom to adjust to the girth of your boot. You should easily be able to crouch into a squat and stand up without feeling tension in the material or discomfort.